Azerbaijan is calling in the IMF as its currency plunges. Yet it isn’t the only one heavily exposed to oil and gas prices. Dependence on Russia for trade, growing debt and reliance on commodities could unsettle the region unless prices recover or financial holes are plugged. Azerbaijan's President Ilham Aliyev attends a news briefing at the Presidential Palace in Tbilisi, Georgia, November 5, 2015. 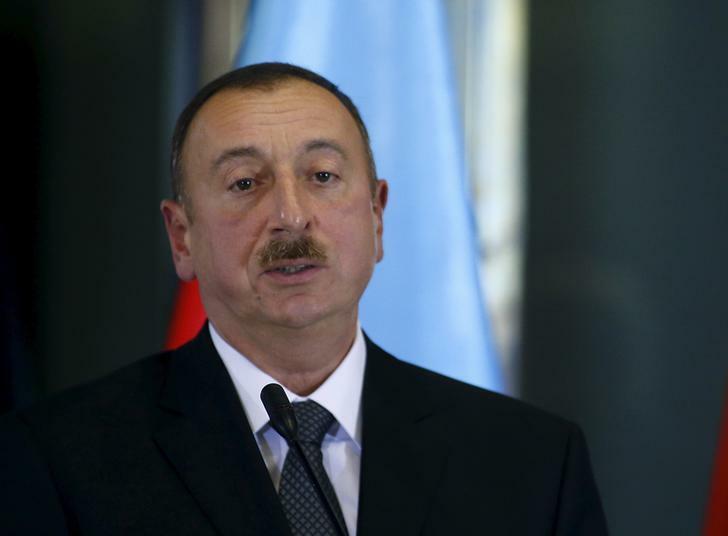 The government of Azerbaijan plans to ask the International Monetary Fund for $3 billion in financial aid and will request a further $1 billion in World Bank loans, a source familiar with the matter told Reuters on Jan. 28. The IMF said it had sent a team to Azerbaijan for a fact-finding visit at the authorities’ request. The team is intended to be in Baku until Feb. 4 and will discuss areas for technical assistance and assess possible financing needs, the IMF said.